 We at ACFI are very passionate about our Children’s ministry. Our vision is to create a place in which children grow closer to God through learning and experiencing His Word. ACFI Sunday School is conducted parallel to the Worship service. At present, we have five different Sunday school classes with dedicated teachers. The academic year starts beginning the first week of September and ends with Annual Day Celebrations the week before the Memorial Day weekend, in May. Apart from the learning weekly Memory verses, the children are also encouraged to learn the names of Books in the Bible, Ten Commandments, and Psalm 23 etc. at their own pace. The Bible truths and Gospel are presented to the child through the age appropriate Bible lessons using various teaching aids like posters, flannel pictures, skits, games and songs. We also have a craft/coloring sheet related to the lesson and a take home sheet for the parents. The Children are encouraged to bring their own Bible to the Sunday school. We learn and sing the contemporary Children worship songs as well as the good old children songs. Our Carol Service is usually conducted a week or two before the Christmas Eve. Over the years, it has become a tradition for children to dress-up in costumes and present the Nativity Scene in different ways. Some classes may perform a special Christmas skit but all classes participate in singing melodious and heart-warming Carol songs. Children visit Old Age Homes at least thrice every year and sing special Worship songs to the residents. This way children experience the joy of sharing the good news. They bring joy into the heart of the residents and become part of the blessings of the LORD. Children prepare care packets for the less privileged homeless people. The care packets they make usually contain canned pasta, cup noodles, crackers, a pair of socks, and a candy cane with a note about the message of Christ. Each child takes home the packet they make and distribute them to the less privileged homeless people at their convenience. As part of appreciation to the missions, children make cards for the missionary families. The personalized cards are sent to various missions during Christmas. During the ACFI Family Retreat, which is usually conducted in April, children participate and exhibit their God given talents during the Talent Time and there will also be a special children’s presentation on behalf of the Sunday school. The combined event is usually conducted the week before the Memorial Day weekend. Starting with prayer, singing special Worship songs, performing a skit, and collecting Offertory everything is conducted by the children of all age groups. Then, a special message oriented for children will be delivered by one of our special speakers. Then, the children and teachers are appreciated with special gifts. Finally, the Pastor will end the service with a word of appreciation and benediction. Last and most important, we are happy that the ACFI Children are contributing to the sponsorship of orphans with the Offertory money that the children bring and collect during their classes. During summer, we have Sunday school classes only for children below 12 years old. Older children are encouraged to be part of the main Worship service during this time of season. Come and join us at 10 AM every Sunday with your precious Children. We would love to have your children in our Sunday school.